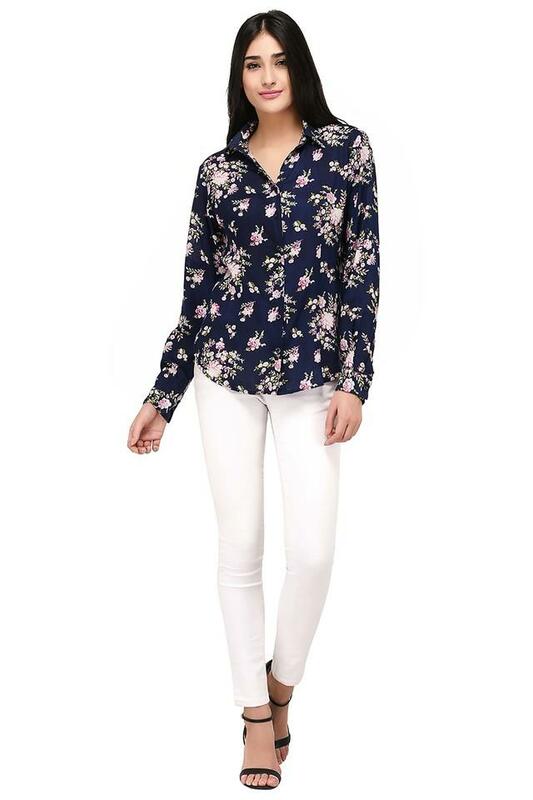 Fetch compliments by wearing this collared shirt brought to you by Purys. 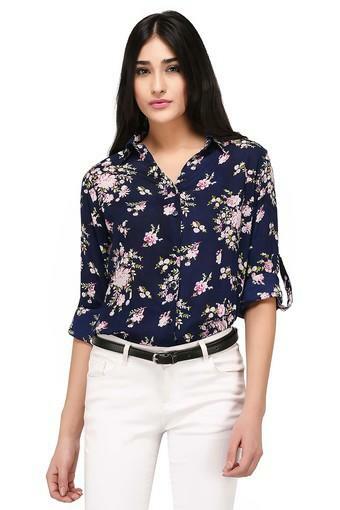 It features a floral print, which will help you to make a style statement. 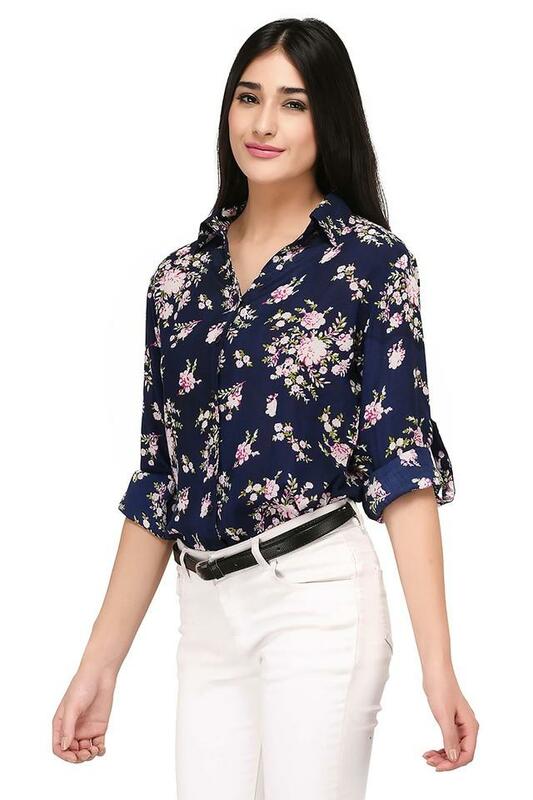 The blend of viscose and rayon fabric further ensures a comfortable feel against the skin while the button placket at the front makes it convenient to wear. 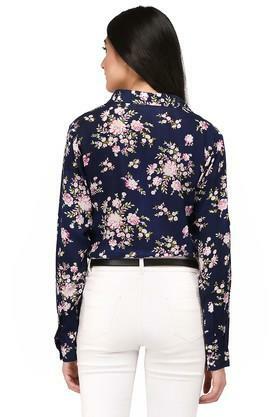 Stand out from the rest by wearing this shirt, featuring a floral print pattern. Team it with a denim skirt and a pair of heeled shoes to look complete.